Now you can reduce your cost of hiring interpreters by taking advantage of our online live interpreter, who can join you realtime over the web conference interpretation. Use our easy to use app. Just make a booking and have professional video interpretation in any language join you at your nominated time thru the web. A low cost and effective solution for any language interpretation service needs. All you need is a reliable internet connection and our interpreter can join you virtually anywhere across the globe. Multilingual video interpretation service for government, hospitals, business meetings, law enforcement offices and other situation where interpretation services are required. 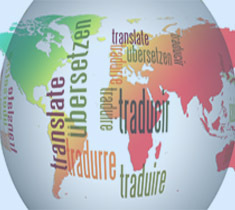 Our native language speakers are qualified to do interpretation across all major global languages. Grupo Noa International has a large team of multilingual video interpretation. Who can make your communications easy. All you need is an internet connection and a mobile phone for our professional interpreter to join you anywhere thru a web conference. Experienced multilingual customer services agents are perfectly suited for all your interpretation service requirements. Outsource interpretation service from English to any language or vice versa without compromising on quality. 100% guaranteed professional video interpretation services as an affordable cost.